Many months/years later I'll have something to look back on in terms of how my old blog page looked like. Obviously this post has no tangible benefit to anyone other than for my own future reference. I've grown tired of reading not-so-bright fonts on a dark background and I decided to change the appearance of the webpage to a simpler template. Dark font on white/bright background suits my mobile devices screen better. And on bigger screens, reading is much more at ease. Old page, prior to 2012. Header photo shot during sunset at Magellan Sutera man-made beach. Header photo (Mt. Kinabalu) shot from a suspension bridge in Telibong, Tuaran. More pictures are available at my dedicated photo page. The new header photo of your blog is awesome!!! what a breathtaking view...SPECTACULAR!!!! Love the new look! I used to design my own blog header (using Powerpoint can you believe it!!!) 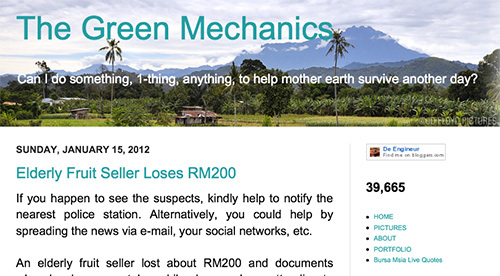 to save $ and well, cos I am quite kedekut when it comes to spending money on my blog then. @Rose Flower. Thanks. Some say the view is even more spectacular just before sunrise. Need to visit this place again sometime. @tehr. Setuju. 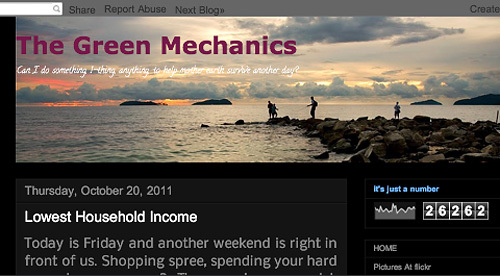 Saya pun tertarik dgn layout blog anda. @I'm a full-time mummy. Thanks for the info on the image editing software. Will try that one out. @Angie. Thank you, glad you liked it. I am facing great problem with my motorcycle, it is not running properly as it should be. I am here wondering for motorcycle mechanic who provide best service. Please have any idea. @MaryaYusof. That'd be a good idea. @motorcycle mechanic. Sorry mate, really can't help you there. Your site got a hit from me though. Thanks for dropping by.